Not able to come to Micke Grove Zoo? Then let Micke Grove Zoo come to you! 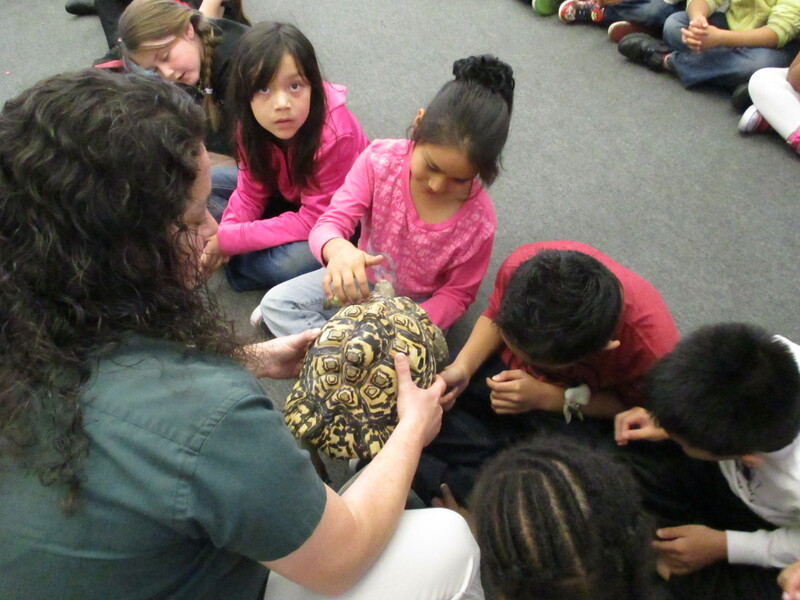 A Zoo Educator will come to your school, daycare, senior care facility, other meeting place with live animals and bio-facts to present a unique and engaging program tailored to meet your needs - and academic standards. At this time, our Zoo Mobile does not go to private residences. Advanced reservations are required for Zoo Mobile programming. We strongly encourage teachers to make their reservations well in advance as dates in March, April, May, and June fill up very quickly! We use the online reservation software system, Doubleknot, to accept reservations. Payment options include Visa, MasterCard, American Express, cash, and checks. CONSERVATION CLASSROOM -- Micke Grove Zoo can procide yours students with a memorable classroom experience that will keep them engaged and thinking about animals, science and the importance of conservation. Let up bring our Zoo Mobile & Animal Ambassadors to your school! Please Note: These programs are limited to 35 students. For larger groups, please book two back-to-back programs or an Awareness Assembly. Grade Levels: Pre-kindergarten and up - Program Length: 1 hour - Cost: $150.00 for the first program (maximum three programs per day). A mileage fee of $30.00 applies for any sites located outside of San Joaquin County. AWARENESS ASSEMBLY -- Do you have several classes in the same grade level and want each student to be able to experience the same incredible opportunity of seeing wild animals and learning about them? You can book the Micke Grove Zoo Mobile for an Awareness Assembly where we will share stories of animals from around the world and what people can do to help protect them! Please Note: There is a 200 person capacity per assembly program. Grade Levels: Pre-kindergarten and up - Program Length: 45 minutes - Cost: $375.00. Are you a teacher at a Title I school? 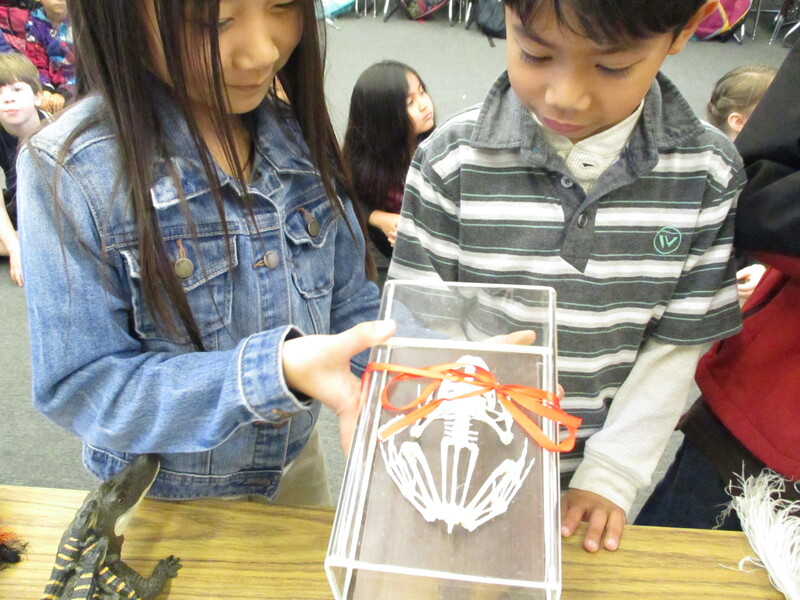 Apply for a Zoo to You Outreach Program scholarship and perhaps we'll bring the Zoo Mobile to your classroom for free! CLICK TO LEARN MORE! Planning an intimate program for a small group at a senior facility? Then let us come to you! We'll bring animals and bio-facts for your group to enjoy, as long as it's a safe place for our staff and animals to visit. Please Note: Time slots are restricted to the afternoons to accommodate school programming. Groups larger than 35 individuals require either two back-to-back programs or an assembly program (see above). Program Length: 45 minutes - Cost: $150.00. A mileage fee of $30.00 applies for any sites located outside of San Joaquin County. Unfortunately we cannot provide programs more than 60 miles from the Zoo. SEARCH A DATE NOW!